One of the many sources of nourishment that I will be learning and talking about this year is that which comes from caring for yourself. Being a stay at home parent brings days that are filled with amazement at your child’s growth, laughter, snuggles, dance parties, new adventures and so much more. It also brings frustration, stress, anger, sadness and a general feeling of being burnt out. It’s the greatest job in the world and the hardest at the same time. The love from your child verses the endless meal planning. The pride in raising a kind, generous child verses reminder after reminder to “PUT YOUR SHOES ON!”. As a result of all the ups and downs and burnt out feelings that come with the full time parenting, I choose to take one week out of each year to care for myself. I go away. Far, far away. My husband takes the week off from his job and stays home with the children. Yes ladies, I realize how very lucky I am. He’s wonderful with the kids and I trust that everyone will be breathing when I return home. This week is my therapy, my reboot. Without it I become Monster Mama half way through the year. I truly feel that every stay at home parent needs and deserves a week away to refresh themselves and maintain an even temper with their children. I’ve found that after my vacation, I can’t wait to see those little smiling faces. I am filled with renewed energy for my husband, children and myself. It also gives my husband a better appreciation for everything I do for the family every day as well as giving him time he wouldn’t normally have with his kids. This year, I am going camping in western Pennsylvania at Pennsic (a two week long medieval reenactment gathering). I’m not a reenactor myself, but I love the environment there. It’s beautiful, quiet, relaxed and because of elevation, a few degrees cooler than it is in central New Jersey. Everything is slower there and although there are children around, there are none that need any care from me. So, starting tomorrow morning, I’ll be on my yearly one week vacation. I most likely won’t be posting anything here, but may be able to share photos and short updates on my facebook page. 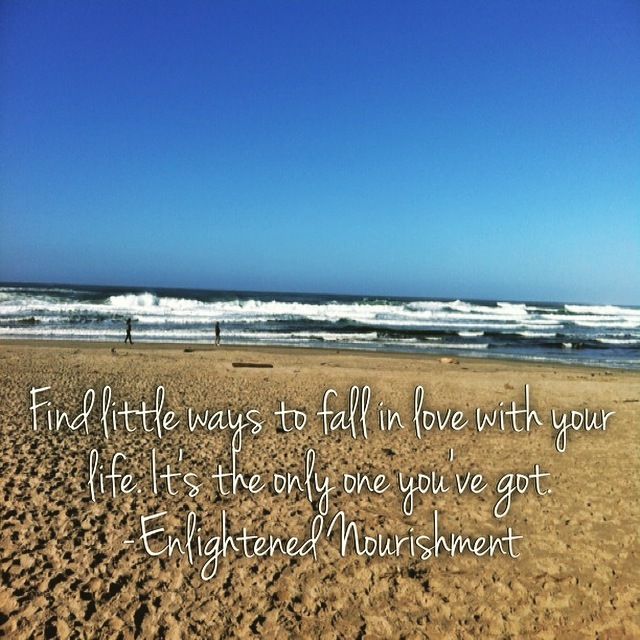 If you haven’t “Liked” Enlightened Nourishment on facebook already, please do. Have a wonderful week everyone! Don’t forget, nourishment doesn’t just come from food.